On Sundays if we've nothing planned, hubby and I generally look out for the boot sales open and then go for either a country drive or a drive through London afterwards, with lunch thrown in. Today we went to a fairly local boot sale and I bought a Beatles album on cassette for 50p and a Soul To Soul 80s album on CD for 50p. We weren't there long, so we went off for our usual drive and we ended up driving through Camden, past Regents Park and London Zoo and parked up on New Bond Street for a spot of lunch and some window shopping. 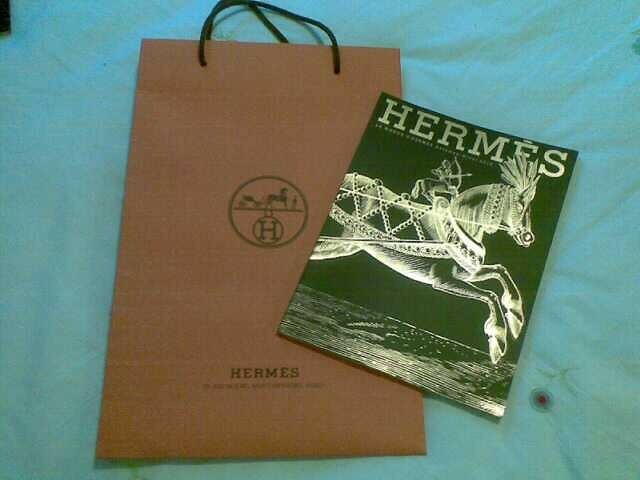 We headed to Selfridges and browsed through the designer handbags and in the Hermes section, I picked up a free Catalogue and cheekily asked them for a bag to put it in! I'm sure many passing shoppers thought I must be quite fortunate to afford a piece of Hermes so soon after Christmas, lol!! 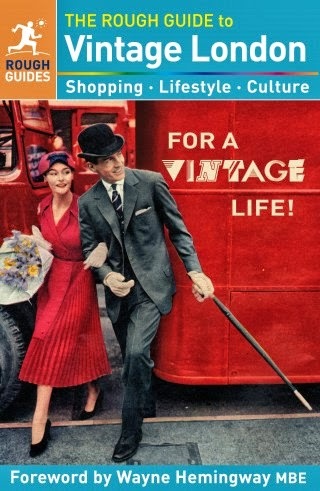 I'll be using the bag for my vintage and designer scarves. We went to the Food Hall and ate at Eat, sandwiches, nuts and tea and coffee for less than £10-bargain!! 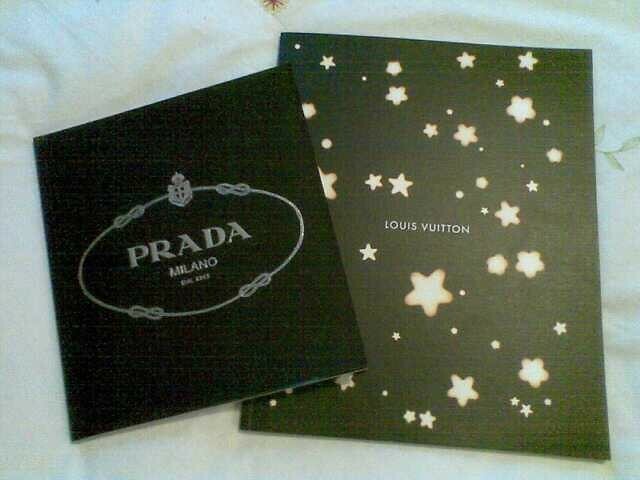 Refreshed, we browsed back through the departments of Rolex, Prada and Louis Vuitton and picked up their latest Catalogues too-they are so well made and not bad for a bit of freebie browsing material!! We then took a leisurely stroll up South Moulton Street back to the car and a nice leisurely drive through Westminster, along the Embankment and past the Tower of London. London has to be my favourite place and living so close to it is an added bonus, I'll certainly be visiting again in the near future!! What is your favourite city or place in the country, do you get a chance to visit it regularly too? I love London, too and it is my favourite place! Wishing I could visit it more often, but this is a bid expensive for me. Hotel stais arn't cheap there. Love the region around Portobello Road and Brick Lane for vintage shopping and visiting All Saints flagship store. Love the V&A museum, too! Their bookshop is awsome! And of course Liberty's near Carnaby Street! Sounds like a gorgeous day and reminds me how much I love visiting London. I am visiting London again in February for my birthday and I can't wait. I do love the zoo and as I live in Glasgow we go to Edinburgh zoo, never failes to amuse me. Oh, I love London...at least, the London of my dreams! One day I will get there. Once, quite awhile ago, my boss and I worked a Hermes group that stayed at our hotel (the Royal Hawaiian) and at the end of their stay the boss got a beautiful Hermes scarf and I got a bottle of perfume. Nice memories! PS - I very much heart your Escada jacket. London is my favourite place to be and although I am only 50 miles away, I only go a couple of times a year. Sounds like a lovely day, wish I was closer! Dear Sharon, it sounds like a lovely day and I'm impressed with your thriftiness yet again. This sounds like a lovely, lovely day. Mine is definitely London. Walking along the Embankment, walking through the East End, walking through Bond Street... Any walking in London. I do love Paris, too, but London feels like home. Thats so funny about the bag!! To be honest nothing pleases me more than a nice brochure to take home I have a stack of them! I love London too and wish I could go more often. I live in Manchester and do forget how fond of it I am!